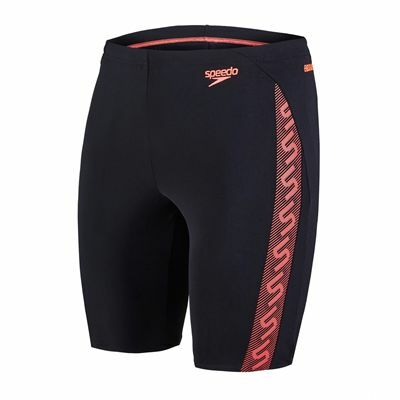 Boasting a performance-driven design to ensure a hydrodynamic dexterous silhouette, the Speedo Monogram Man’s Jammers are packed with innovations to guarantee comfort and leisure like never before. 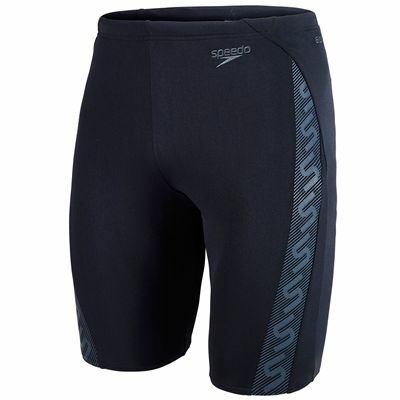 With swift-drying and fade resistant material, the jammers deliver excellent comfort and enhanced durability, plus they fit like new for longer thanks to Speedo Endurance®10 fabric. Moreover, the four-way stretch technology further increases comfort and adds more movement freedom, whereas the drawstring waist and integral support ensures comfortable and optimum fit. The jammers are highly resistant to chlorine, therefore they can endure long swimming sessions, as well as will grant you an excellent stylish look. for submitting product review about Speedo Monogram Mens Jammer AW16.